Trim-N-Turn Ultra Cake Turntable, experience the ultimate in turntable control ! 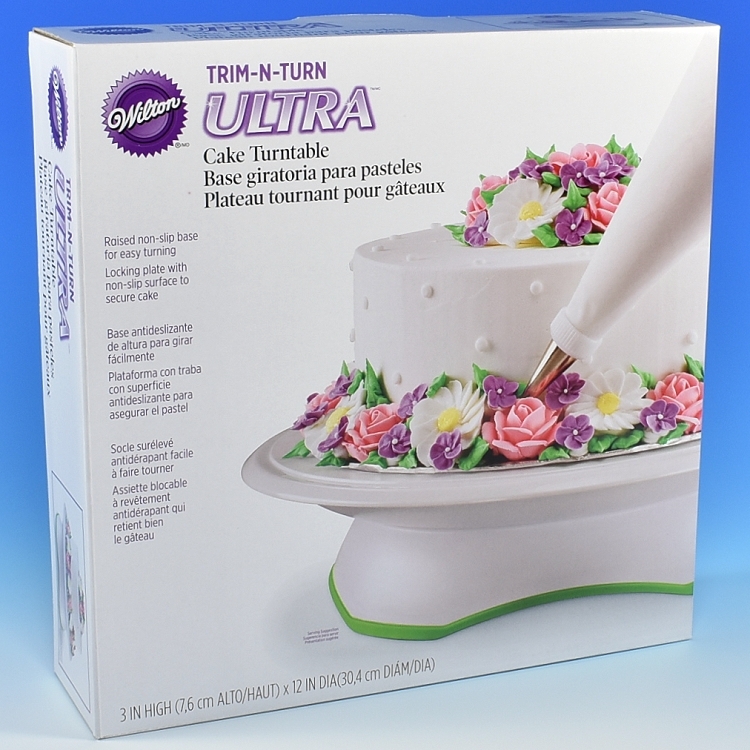 Count on the Trim-N-Turn Ultra to help you create spectacular decorated cakes year after year. 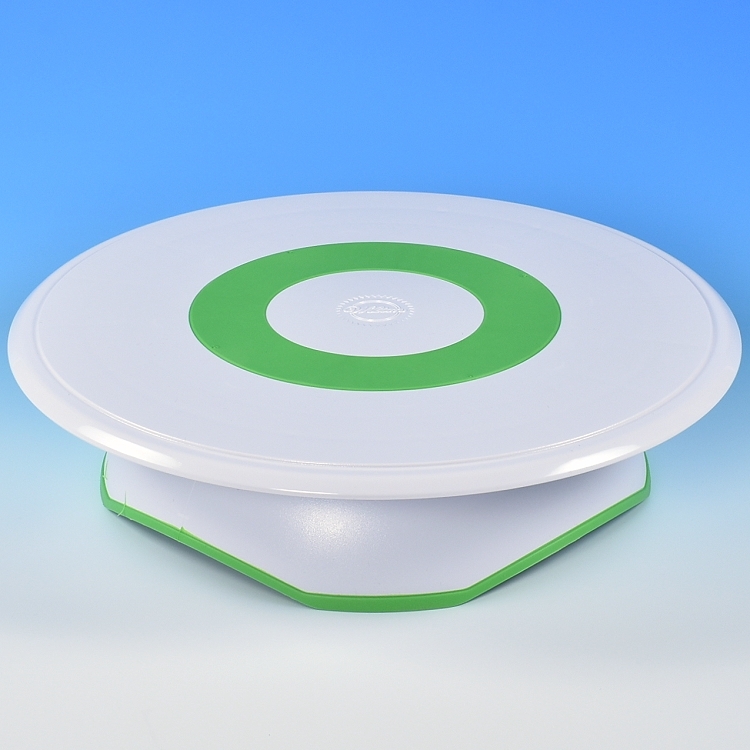 • Platform rotates in both directions and can be locked in place for perfect control. • Non-slip design. 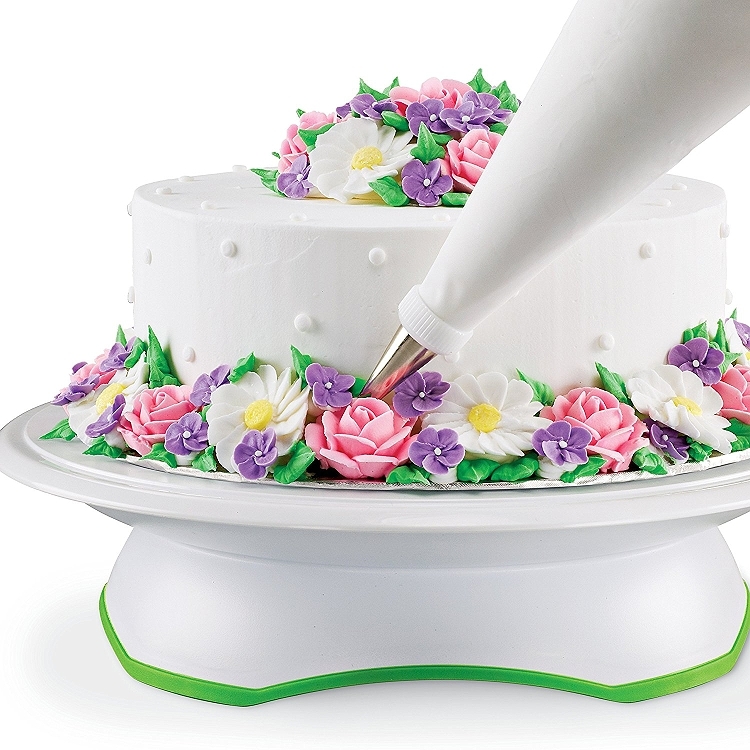 Soft-grip ring molded into the platform to keep your cake in place. Soft-grip base feet keep the turntable from sliding. 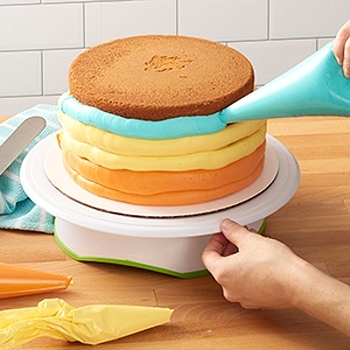 • 12 inch cake platform can be removed from the base for easy cleaning. Hidden ball bearing track for smooth-turning performance. Dishwasher safe. • Holds cakes up to 11 inch diameter with the platform still visible and can even accommodate a larger cake by using cake board. • Trim 'n Turn Ultra can even be used for serving or display.